As a long World of Warcraft player since the days of the 40 men raids, I have always loved the lore of Warcraft and have a soft spot for the Old Gods and how much problems they have caused Azeorth. 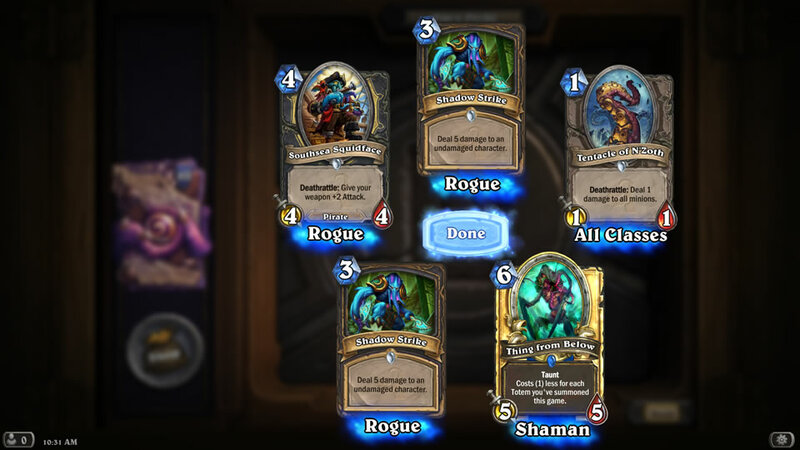 You can imagine my delight and curiosity to find that they will be appearing in Hearthstone. Sure going up against the bosses of Naxxramas was fun and not forgetting the nostalgic Molten Core. But now instead of going up against the likes of C’Thun, Yogg-Saron, N’Zoth and the rest, these Old Gods will tools to destroy your opponents with their special abilities. Just for this “joyous” occasion of bringing the terror of the Old Gods to the table, I also leveled up a character in World of Warcraft just so I could unlock Lady Liadrin to replace Uther. Nothing like a Blood Elf Paladin to carry out the evil deed I say! But soon it was back to Jaina Proudmoore as I thought it would be more “Lore Fun” to see the angry mage fall to temptation to the power of the Old Gods to take revenge for the destruction of Theramore Isle. With Whispers of the Old Gods, players now get to summon the evil ones themselves that cost 10 mana crystals and signal a long wait to reach that. This not only means quite a tweak for players used to fast destroy games, but also a change in strategy to build up the selected Old God before unleashing mayhem onto the table. As each minion is summoned to battle, different stats boost and abilities are added to C’Thun and these are visible to your opponent which adds to the atmosphere of the game. Add 1/1 after each turn? Check. Add 2/2 on Battlecry? Check. Soon my Old God hits 10/10 and 10 mana crystal is used to summon the terrible C’Thun to destroy my practice run enemy in one blow. Suddenly all that frustration from the Temple of Ahn’Qiraj raid came back to me but now it’s not me on the receiving end. Yup it definitely felt good especially with all those nostalgia callouts from the old Ahn’Qiraj raid. Sadly my next match against a human opponent didn’t do as well as C’Thun decided to sleep in and my opponent destroyed me before hitting 10 mana crystals. Such is the fate of the followers of the Old Gods as the Heroes of Azeroth continue to fight for peace in the land. 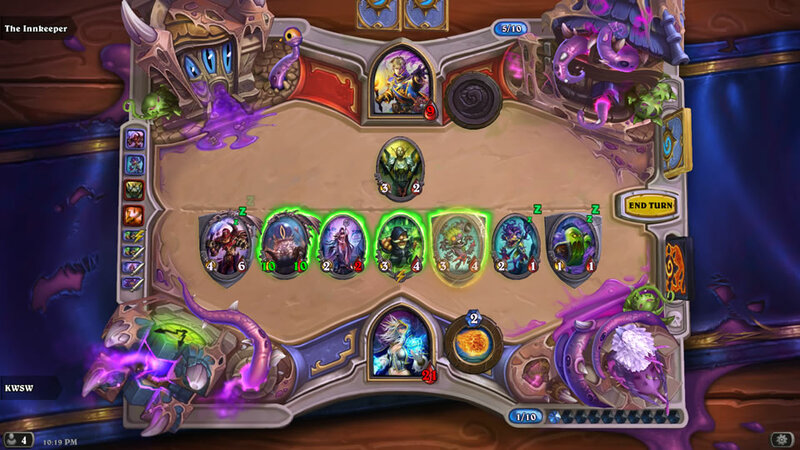 With the new Whispers of the Old Gods expansion, Blizzard has definitely added many more interesting content to Hearthstone for both the competitive players and casuals like me who play mostly while commuting to work. From Tavern Brawls to help new players acquire decks quickly and get up to speed to new metas for seasoned players with the introduction of Standard and Wild decks. Blizzard definitely outdid themselves with Hearthstone: Whispers of the Old Gods expansion and I can’t wait to see what else they have in stored for players looking at all the rich lore found in Warcraft.